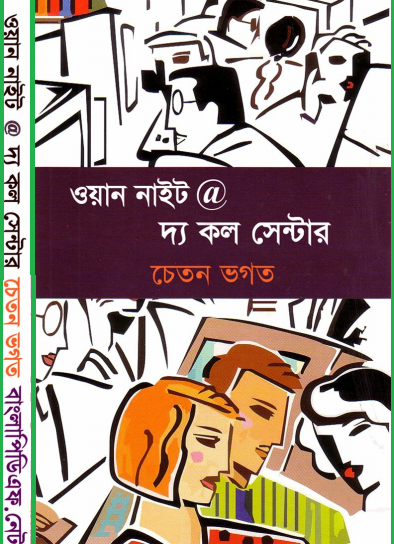 Download Bangla Onubad Book from Bangla Books PDF. The story of this book begins with a train journey from Kanpur to Delhi. The narrating author of this book meets a young beautiful girl during the train journey. The girl offers the author to tell a story on a condition that is, he has to make it his book. After a lot of hesitation, he agrees with the condition. The story was about the six people who are working in a call center. One night there is something happened interesting thing and that is they got a call from God. Actually, it is a story of losing love, ambitions, and absence of family affection. Shyam loves to Prayanka but he has lost her. A phone call from God is one of the silent features in that novel. One day, all six characters of this novel decide to go and enjoy at a night club. After enjoying a while, they leave night club for office. They got the problem for construction roads and at that moment they got a call when there was not any network and the caller said that He is God. One Night At The Call Center is a great novel that is written by Chetan Bhagat the Indian writer and this book was published in 2005. By the way, if you want to download and read the Bangla translated e-book named One Night at the Call Center by Chetan Bhagat, you are requested to click here!